Diatoms are a major group of algae, and one of the most common forms of phytoplankton. Diatoms have only one cell although they do sometimes exist in colonies. 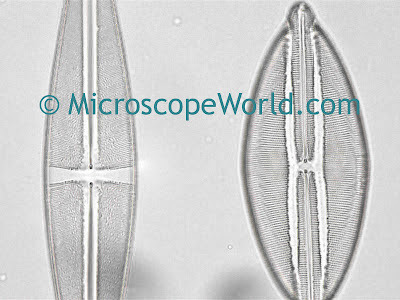 Diatoms are encased within a unique cell wall made of silica (hydrated silicon dioxide) called a frustule.These frustules typically consist of two asymmetrical sides with a split between them. 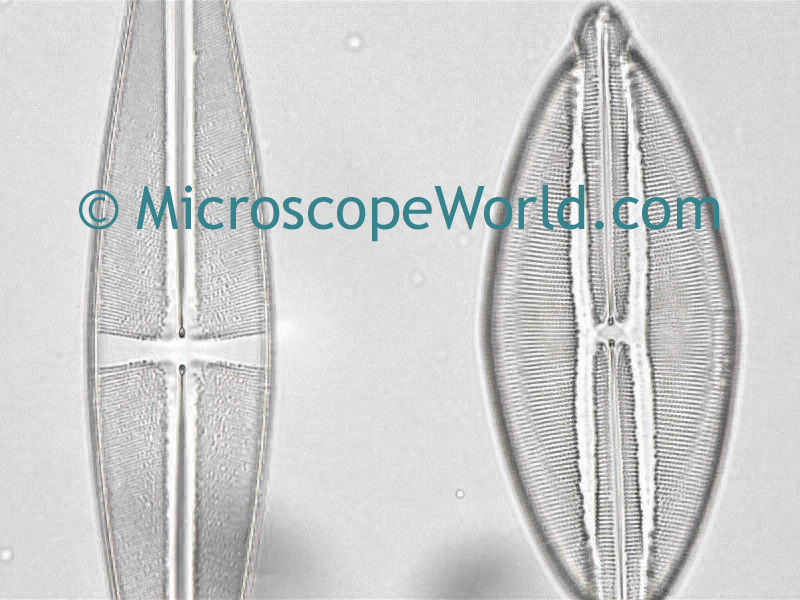 Image of diatoms captured with the Meiji MT5300 biological laboratory microscope. Evidence found in fossils suggests that they originated during or possibly before the early Jurassic Period. Diatom communities are often a popular tool for monitoring environmental conditions and are often used to study water quality. Living diatoms are often found clinging to filamentous algae. Diatoms can be found in the form of a brown, slippery coating on submerged stones or twigs in a river. Additionally, the surface mud of a pond, ditch or lagoon will almost always have some diatoms in it. You can capture some by filling a jar with water and mud, wrapping it in black paper and letting direct sunlight fall on the surface of the water. Within a day, the diatoms will come to the top in a scum form and can be isolated. Then you can use either a biological lab microscope or even a student microscope to view the diatoms.